Kapoho is located on the southeastern coast of The Big Island of Hawaii. It sits on the rift fault between Pahoa and Koae near Kapoho Bay at the end of the island. In the distance is the start of the uprising effect and of the rift that traverses all the way through the great crack in Ka'u. Hiking, biking, fishing, swimming, surfing, snorkeling and golfing are just a few of the activities one can take part in at Kapoho. 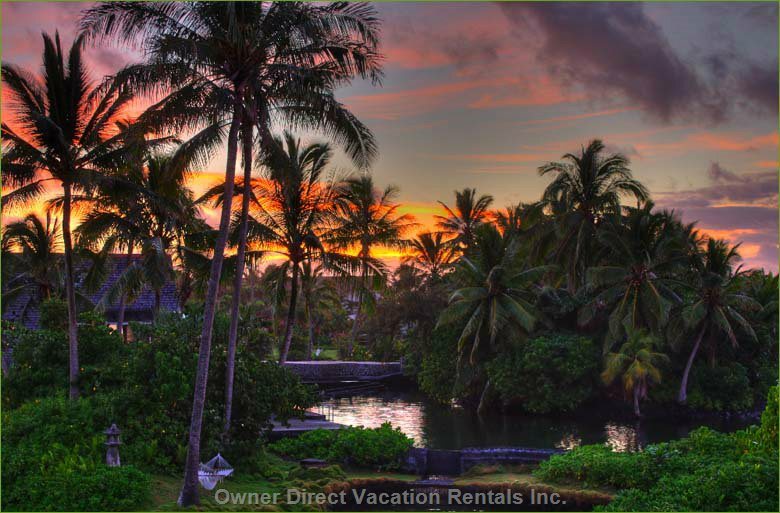 Visit Volcano National Park, beautiful waterfalls, secluded beaches or the quaint town of Pahoa. The geothermal utility plant, which provides about one third the electric power for the whole island, is located in this area. Hopefully, it is built on lucky ground. The 1960 Kapoho Flow affirms that there is potential for further volcanic action here. Kapoho has been granted some of the most excellent weather on the Island. Sunny days with gentle trade winds combine to provide a year round temperate climate. 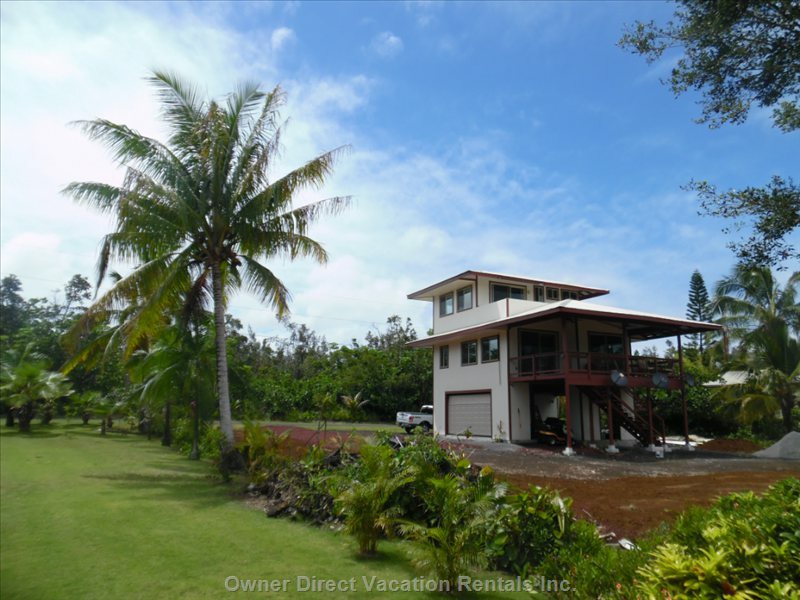 Kapoho Beach is a private gated community. Green sea turtles are quite abundant, as well as exotic tropical birds which occupy the many pineapple, papaya, coconut, guava, and mango trees. The tidal pools are nurseries for the exquisite tropical fish. These tide pools have calm water, appropriate for children, as well as for scuba, further out on the reef. 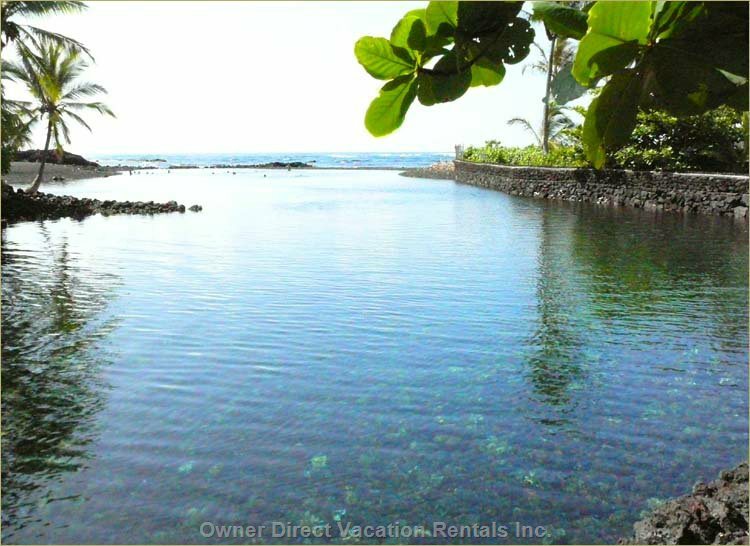 Enjoy tide pools and hot ponds heated by natural volcanic vents. Or simply listen to the waves while you relax and revitalize yourself by the ocean.